Prevent Dental Emergencies While Away On Vacation - Adelberg Montalvan Pediatric Dental PC & Orthodontics too! Planning a much needed family vacation? While you should definitely be excited about prepping for all of the fun activities you have planned, you should also make sure that you know what to do in the event of an emergency. These tips will help you prevent dental emergencies while you’re enjoying your time away. Schedule a pre-vacation visit with us. This way, we can address any issues that are of concern now to lessen the likelihood of an emergency later. If you know you’ll be traveling somewhere that may not have adequate dental services, let us know. Our expert staff will advise you on what to do should something occur that may cause an emergency dental visit. Vacations should absolutely be a time when your family can let loose and have fun — but do keep an eye out on what is being consumed. Hard candies, popcorn and sticky treats can wreak havoc on tiny teeth — so if you’re trying to avoid a possible dental emergency, you may want to avoid particular snacks. If you do come across these foods, consume in moderation and make sure your little ones brush and floss immediately after! Pack a dental emergency kit. Hopefully you won’t need to use it, but you’ll be thankful you have it on hand. Bring mouth guards (if you are planning any sporting activities, it’s better to be safe than sorry! ), pain relievers (both topical and ingested), orthodontic wax (for those with braces! ), cotton and gauze, floss, and our contact information! 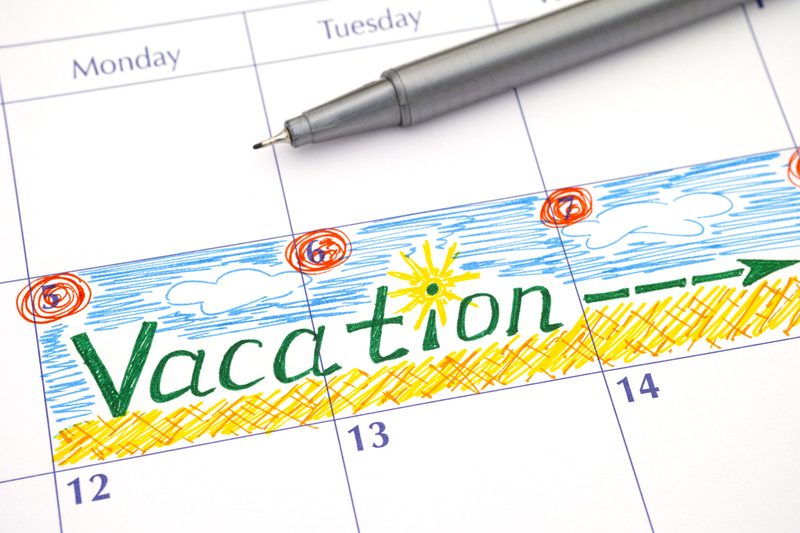 Leading up to your vacation as well as during your vacation, don’t let dental routines take a backseat. Brushing two minutes twice a day and flossing regularly is your child’s best defense against dental problems. Remember, teeth are not tools. Teeth serve many functions from chewing to helping us speak properly. And while it may be possible, they should not be used to open things (like bottles) or cut things (like tape). Doing so can cause chipped or cracked teeth so if you want to keep smiles intact, stick to chewing only. While the above preventative measures can help avoid dental emergencies while away, they can’t always prevent them. Should your child have a dental emergency, act fast and look up an ADA Member Dentist for immediate treatment if needed. Then be sure to give our offices a call! No matter what dental emergency you may experience, remember Adelberg Montalvan Pediatric Dental is here for you and your child. For questions and concerns please feel free to contact us at any of our three locations or visit us online to schedule an appointment!